The terms blue collar and white collar workers were coined in the early 1900s. The terms actually refer to the type of shirts the different workers wore to work. Those who worked in offices and worked primarily at desk jobs wore white shirts. Those who worked outside doing manual labor wore blue or darker colored shirts that did not show dirt as easily as white. Although those who now work in blue collar jobs wear any color of clothes made out of sturdy fabrics, the term is still commonly used. Whether people are better suited for a white collar or blue collar job depends a lot on their personality. For some people, the plan of getting a college degree and going every day to a comfortable indoor office setting is exactly what they want. For others, getting dressed up every day and being confined to an office setting is not appealing. 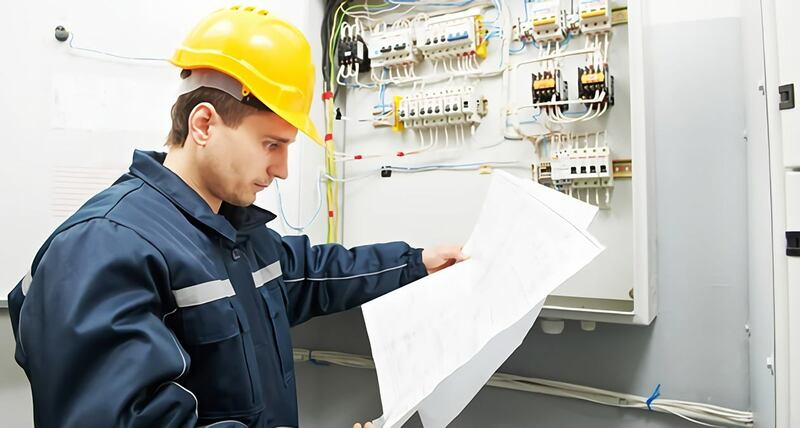 Although each type of career has its own set of benefits, there are many benefits to blue collar jobs that people often overlook. A lot of people assume blue collar jobs are lower paying than white collar ones. That may have been true a few years ago, but the work environment has changed. Forbes magazine recently made a list of the top paying 20 blue collar jobs based on information compiled by the Bureau of Labor Statistics (BLS). Number two on the list is electrical wiring repairs and maintenance. On average, it pays nearly $32 an hour. Electrical power wire installers came in fifth, paying approximately $28 per hour. With the government offering incentives to consumers who purchase energy-efficient appliances, the need for heating, air-conditioning or refrigeration technicians (HVAC) is expected to increase. According to the BLS 1, the jobs in this area will grow by 21 percent in the next ten years, which is a faster growth rate than the average for all other occupations. Those who complete a vocational program in those fields will have greater job opportunities than those in other fields. Median pay for these jobs is approximately $21 an hour. Jobs prospects are especially rosy for HVAC technicians, electricians, and solar panel installers. For some people, doing the same thing every day, as is often the case with white collar jobs, is boring. For almost all blue collar jobs, every day is different. Workers go to different locations, see new scenery and meet new people. Kevan Barley, a Tennessee man with a master’s degree in education gave up his career in education to become a plumber. He cites one benefit of his new work is the opportunity to meet new people every day. Also, people are glad to see him when he arrives at their house because they need his services. There are many opportunities for working outdoors. Kevan Barley’s plumbing job sometimes has him working outside, sometimes inside. The same is true of most blue collar jobs, for example, HVAC technicians as well as electrical wire and solar installers. If the work is primarily outside, on days with inclement weather, the blue collar worker takes a day off. Other jobs that are considered blue collar that provide outdoor work opportunities include construction jobs, like carpentry or brick-laying. According to the BLS, the growth rate for construction workers 2 in general is projected to be about 25 percent, a much faster growth rate than the average. Carpenters 3 will have close to the same growth rate. Landscaping maintenance workers 4, who work almost exclusively outdoors, are in high demand. Solar installers 5 are also looking at a 24 percent job growth and can enjoy spending their days in good weather working outside.